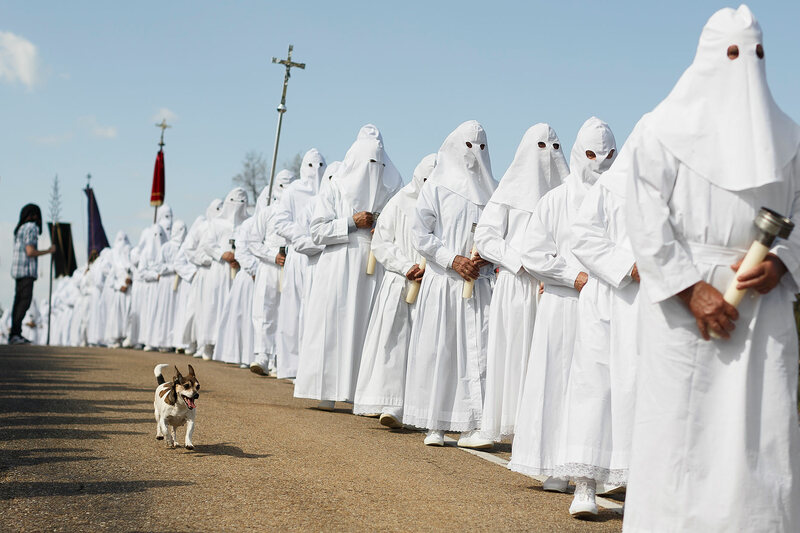 A dog runs as he follows the penitents taking part in the Good Friday 'Del Santo Entierro' procession during Holy Week in the small village of Bercianos de Aliste, northern Spain, March 18, 2014. The clothes worn by the Berciano's penitents will be used as their own shrouds when they die, according to the tradition. Hundreds of processions take place throughout Spain during the Easter Holy Week.